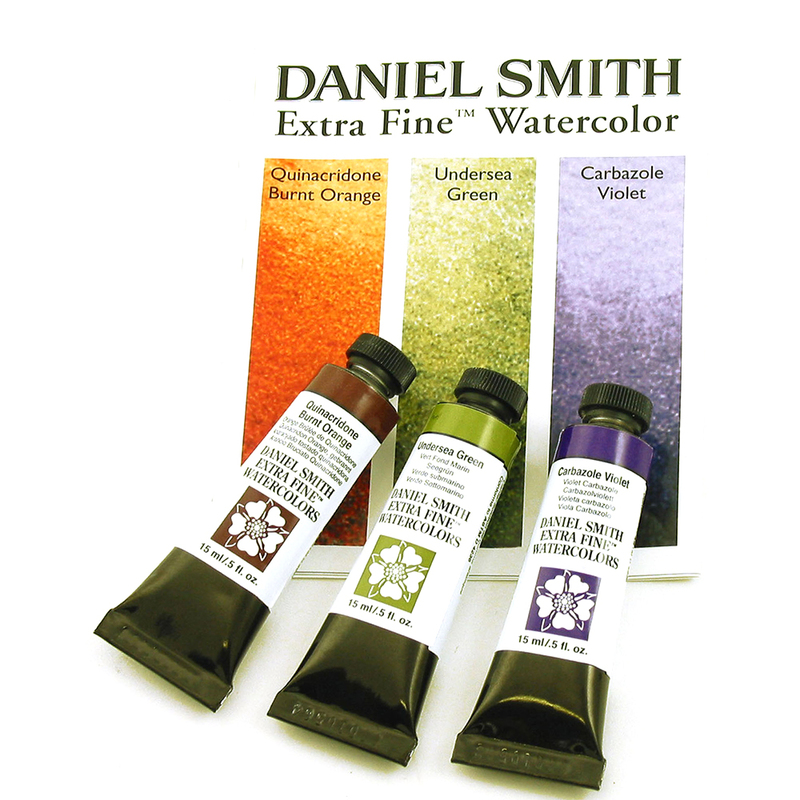 This set contains three secondary colours in the Daniel Smith Extra Fine Watercolour Range: Quinacridone Burnt Orange, Undersea Green and Carbazole Violet. 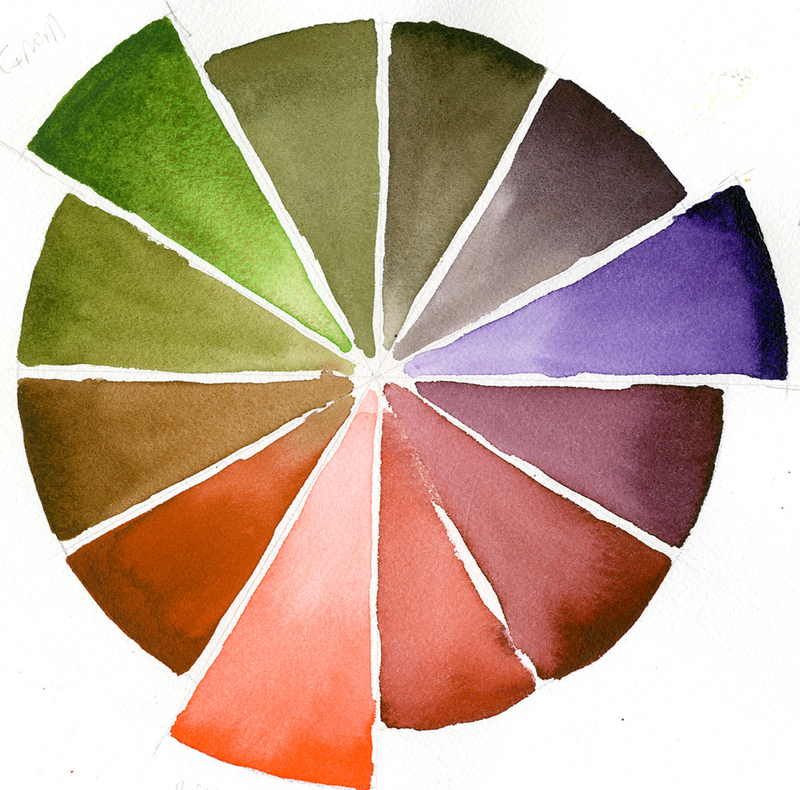 This Secondary set allows you to build on the foundations of colour theory by mixing and creating your own colours. The set can also be combined with the PrimaryTriad Set to complete a full colour wheel and expand the possible colour combinations. Quinacridone Burnt Orange can be used to modify Sap Green in landscapes to achieve rich, mossy greens that coordinate land with sky. 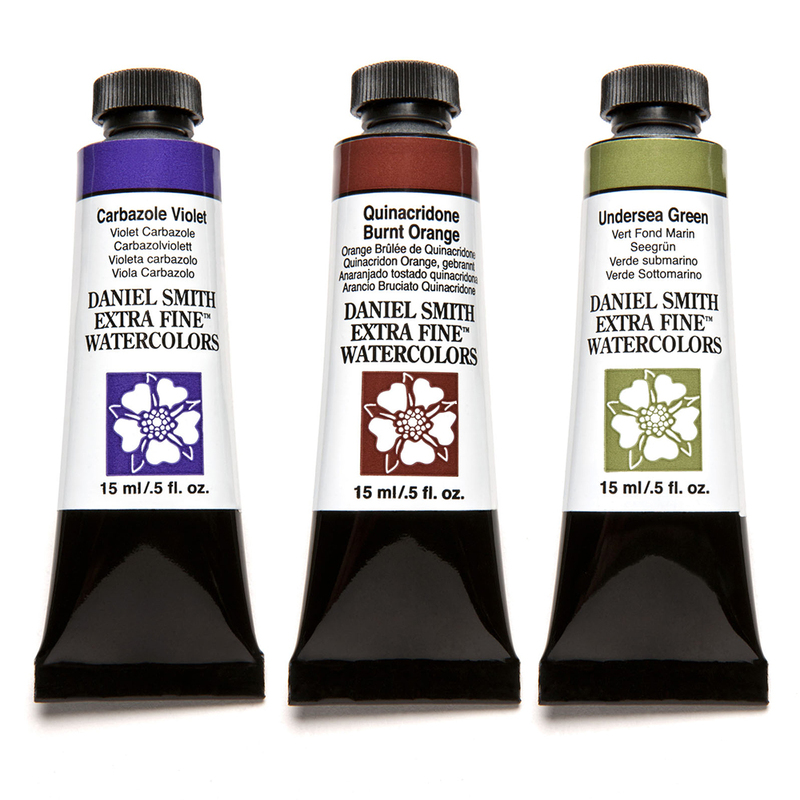 Highly durable and extremely transparent, all the Quinacridone colors excel in vivid clarity and intensity. Add to French Ultramarine and create dramatic sky washes with a gray-blue mix that renders a full value scale. Undersea Green is the artisan's favorite, this exciting medium staining green will remind you of warm sea kelp. Apply with Moonglow, Ultramarines and Quinacridone mixtures to color-coordinate and lend atmosphere to various passages. Undersea Green is beautiful touched damp or drybrushed with Interference Gold. Use Undersea green in autumn leaf paintings. Carbazole Violet is a slightly granular blue-violet with an intense, vibrant color with high-staining properties. A brushstroke of concentrated Carbazole Violet onto dry paper moves the pigment from black-violet to clear purple, and can create an iris petal with each stroke. Add Indigo to Carbazole Violet, along with Quinacridone Rose or Anthraquinoid Red. Blot, squeegee and incise damp passages to created veins, variegated passages and highlights.